There is very little doubt that Equifax’s negligent security practices were a major contributing factor in the massive breach of 145.5-million Americans’ most sensitive information. In the wake of the breach, EFF has spent a lot of time thinking through how to ensure that such a catastrophic breach doesn’t happen again and, just as importantly, what Congress can do to ensure that victims of massive data breaches are compensated fairly when a company is negligent with their sensitive data. In this post, we offer up some suggestions that will go a long way in accomplishing those goals. We have distilled our suggestions to Congress down to the seven points below, feel free to click to jump to the relevant section: We need a federal victims advocate to research and report on data breaches, Restore Federal Trade Commission's rule-making authority to deal with data breaches, Avoid preempting strong state laws, Create a fiduciary duty for credit bureaus to protect data, Ensure people's right to sue when their information is compromised in a breach, Not enact additional criminal laws, and Make companies offer free credit freezes instead of credit monitoring services. When almost half of the country has been affected by a data breach, it’s time for Congress to create a support structure for victims at the federal level. Once a consumer’s information is compromised, there is a complex process to wade through to figure out who to call, what kind of protections to place on one’s credit information, and what legal remedies are available to hold those responsible accountable. To make it easier for consumers, a position should be created within the executive branch and given dedicated resources to support data breach victims. This executive branch official, or even department, would be charged with producing rigorous research reports on the harm caused by data breaches. This is important because the federal courts have made it very hard to sue companies like Equifax. The judiciary has effectively blocked litigation by setting too high a standard for plaintiffs to prove they were harmed by a data breach. Federal research and data analyzing the financial harm Americans have faced will help bridge that gap. If attorneys can point to authoritative empirical data demonstrating that their clients have been harmed, they can make companies like Equifax accountable for their failures to secure data. Any federal law passed in response to the data breach should be the foundation—not the ceiling—upon which states can build according to their needs. Speaking of the executive branch, the Federal Trade Commission (FTC) has a crucial role to play in dealing with data breaches. As it stands now, federal regulators have little power to ensure that entities like Equifax aren’t negligent in their security practices. Though Americans rely on credit agencies to get essential services—apartments, mortgages, credit cards, just to name a few—there isn’t enough oversight and accountability to protect our sensitive information, and that’s concerning. Equifax could have easily prevented this catastrophic breach, but it didn’t take steps to do so. 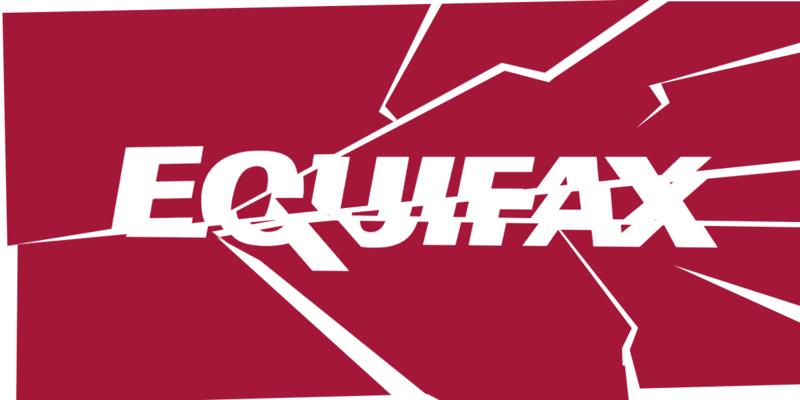 The company failed to patch its servers against a vulnerability that was being actively exploited, and on top of that, Equifax bungled its response to the data breach by launching a new site that could be easily imitated. To ensure strong security, Congress needs to empower an expert agency like the FTC, which has a history and expertise in data security. This can be accomplished by restoring the FTC’s rule-making authority to set security standards and enforce them. The FTC is currently limited to only intervening in matters of unfair and deceptive business practices, and this authority is inadequate for addressing the increasingly sophisticated technological landscape and collection of personal data by third parties. While empowering executive agencies to address data breaches, Congress should take care in ensuring that states don’t lose their own laws dealing with data breaches. Any federal law passed in response to the data breach should be the foundation—not the ceiling—upon which states can build according to their needs. States are generally more capable of quickly responding to changing data collection practices. For example, California has one of the strongest laws when it comes to notifying people that their information was compromised in a data breach. Among other things, it prescribes a timeline to notify victims and the manner in which it should be done. By the time a company has to comply with California’s laws, the company has infrastructure in place to notify the rest of the country. Given this, Congress should not pass a law that would gut states’ ability to have strong consumer friendly data breach laws. We don’t need increased criminal penalties—we need to incentivize protecting the data in the first place. Congress must also acknowledge the special nature of credit bureaus. Very few of us chose for our most sensitive information to be hoarded by an entity like Equifax that we have no control over. Yet the country’s financial infrastructure relies on them to execute even the most basic transactions. Since credit bureaus occupy a privileged position in our society’s economic system, Congress needs to establish that credit bureaus have a special obligation and a fiduciary duty to protect our data. Ultimately, companies like Equifax, Experian, and Transunion serve a purpose, but they lack a duty of care towards the individuals whose data they have harvested and sell because they are not the bureaus’ customers. Without obligations to adequately protect consumer data, we will likely see lax security that will lead to more breaches on the scale of Equifax. The first big problem for those seeking a remedy for data breaches is just getting into court at all, especially in sufficient numbers to make a company take notice. For too many people impacted by data breaches, they learn to their great dismay that somewhere in the fine print they agreed to a mandatory arbitration clause. This means that they cannot go to court at all or must engage in singular arbitration, rather than a class-action lawsuit. As Congress debates how to protect Americans’ legal rights after a breach, the focus should go beyond just prohibiting mandatory arbitration clauses. Congress should preserve, protect, and create an unwaiveable private right of action for Americans to sue companies that are negligent with sensitive data. A knee-jerk reaction to a significant breach like Equifax is to suggest that we need additional criminal laws aimed at those who are responsible. The reality is, we don’t know who was behind the Equifax breach to hold them accountable. More significantly, knowing their identity does nothing to ensure that Equifax actually applies crucial security patches when they are available. We don’t need increased criminal penalties—we need to incentivize protecting the data in the first place. Another good reason for this is that these additional criminal anti-hacking laws more often end up hurting security researchers and hackers who want to do good. For instance in Equifax’s case, a security researcher had warned the company about its security vulnerabilities months before the actual breach happened; yet the company seemed to have done nothing to fix them. The security researcher couldn't go public with the findings without risking significant jail time and other penalties. Without a meaningful way for security testers to raise problems in a public setting, companies have little reason to keep up with the latest security practices and fearing the resulting negative publicity. If Congress uses the Equifax breach to enhance or expand criminal penalties for unauthorized access under laws like the Computer Fraud and Abuse Act (CFAA), we’d all be worse for it. Laws shouldn’t impede security testing and make it harder to discover and report vulnerabilities. Lastly, Congress needs to provide guidance on the immediate aftermath of a data breach. It’s become almost standard practice to offer credit-monitoring services to data breach victims. In reality, these services offer little protection to victims of data breaches. Many of them are inadequate in the alerts they send consumers, and more fundamentally, there’s little utility in being informed of improper usage of one’s credit information after it’s already been exploited. Consumers will still potentially have to spend hours to get their information cleared up with the various credit bureaus and entities where the information was used fraudulently. Instead, Congress should legislate that victims of data breaches get access to free credit freezes, which are much more effective in preventing financial harm to victims of data breaches, at all major credit bureaus. There are proposals in Congress along these lines and we are glad to see that. There's no question that the Equifax breach has been a disaster. We at EFF are working with congressional offices to pass sensible reforms to ensure that it doesn't happen again.